The city of Tirupati is situated in Andhra Pradesh, and is of immense religious significance. Hindus regard it as one of their holiest pilgrimage sites, and most of the city’s prominence stems from the Tirumala Venkateswara Temple. Every single day, an estimated 60,000 pilgrims make their way to Tirupati, in addition to tourists who want to immerse themselves in the holiness of the place. Unlike other Hindu holy cities like Haridwar and Varanasi, Tirupati is surprisingly orderly. 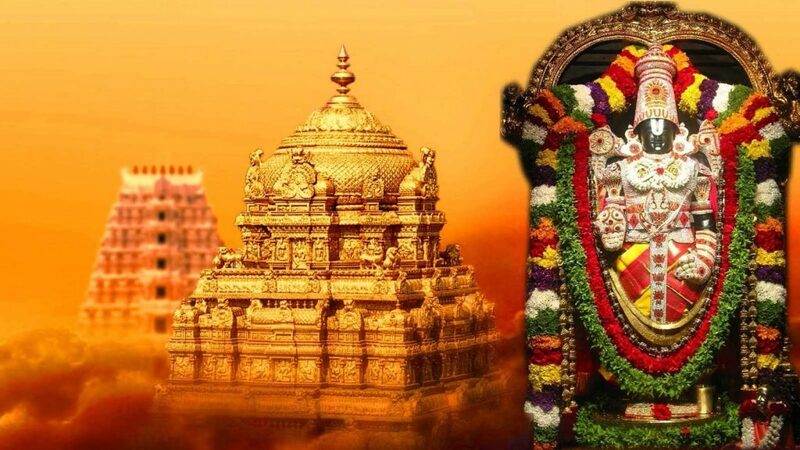 Before you book a holy Tirupati tour package from Chennai, here’s what you need to know. By Air: Tirupati does not have its own airport. Therefore, for your Tirupati tour package from Chennai, you would have to take a bus or a train. By Bus: The Chennai Moffusil Bus Terminus (CMBT) sees buses depart for Tirupati at intervals of 30 minutes, and this is the most comfortable way to reach Tirupati. A distance of 133 km. separates the two cities, and the journey takes almost 4 hours. By Train: Trains such as Sapthagiri Express can be boarded for a trip to Tirupati. However, train tickets must be booked well in advance. Visit the Tirumala Venkateswara Temple: The Tirumala Venkateswara Temple is the main reason for Tirupati’s prominence as a religious destination. Surprisingly the temple is not in Tirupati; the city acts just like a base. Around 18 km. from the city centre, perched atop the hill town of Tirumala, the temple reigns supreme. From an architectural perspective, Lord Venkateshwara’s idol, at a height of eighty feet, is the highlight. The darshan (sighting the deity) can take a long time, sometimes up to eight hours. But this does little to deter the countless pilgrims, who brave the crowds to make their way to Lord Venkateswara, Lord Vishnu’s avatar.Darshan waiting hours reach their peak during the Brahmotsavam festival, a nine-day annual festival that sees queues that extend several kilometres. The temple is said to be approximately 2000 years old, but its importance to Hindus has not changed, even after so many years. Visit the Sri Kalahasti Temple: Located 36 km. from Tirupati, the Sri Kalahasti Temple is an architectural masterpiece. Dedicated to Lord Shiva, the inner temple has been in existence since the 5th Century. The grand outer temple however, features the astounding architectural genius of the Chola and Vijayanagara empires. The temple witnesses thousands of devotees and pilgrims during the Rahu Ketu Sarpdosha Pooja, a ritual that aims to set right the problems faced by a person afflicted by faulty positions of Rahu and Ketu, two of Indian astrology’s nine celestial bodies. The Tirumala Tirupati Devasthanams (TTD) is not only in charge of maintaining order and discipline in Tirupati, it also maintains several types of accommodation to cater to the pilgrims. While some accommodations such as Sri Venkateswara Dharmasala, Sri Kodandarama Dharmasala and Sri Padmavathi Guest House charge money, some such as Sri Govindaraja Dharmasala charge no money at all. Expect charges at these hotels to range between Rs. 500-300 per night. Before you head to any of Tirupati’s restaurants, make sure you have savoured the excellent Tirupati laddoo. It is served to pilgrims as Prasad (religious offering) by the temple, and is famous all over India. The temple also offers the pilgrims free meals on a daily basis. A pure-vegetarian meal at the temple makes for a memorable religious experience. Blue Fox: Part of the Minerva Grand Hotel, Blue Fox is one of the very few eateries in Tirupati which serves both alcohol and non-vegetarian food items. Both the Chinese and Indian items are well-made. Expect to pay upwards of Rs. 200. Hotel Annapurna Restaurant: This simple vegetarian restaurant is known for its excellent food, as well as its fresh juices. Prices start from Rs. 110. Maya: Maya is situated below the Bhimas Deluxe Hotel, and is a serious contender for being one of the best vegetarian restaurants in town. Meal prices start from Rs. 130. Minerva Coffee Shop: If good coffee and great thalis is your idea of a great meal, head to Minerva Coffee Shops. Thalis are priced upwards of Rs. 185. Whenever you visit holy places like Tirumala and Tirupati, you need to make sure that you wear nothing inappropriate. In Tirumala, alcohol and non-veg consumption are completely prohibited, and would provoke angry reactions if you are found to break the rules. Also, keep your phones and cameras away before you head to the Venkateswara Temple, as they are not allowed inside the temple’s inner sanctum.